Manufacturers of high technology products are under pressure from rapidly evolving market conditions. Increasing competition, the entry of new products, and the need to accelerate innovation is raising R&D costs while making technology blockbusters obsolete faster than ever. As a result, businesses have to balance extending the life of existing products in order to generate revenue, while also planning new product introductions to retain relevance among consumers. In addition, Original equipment manufacturers (OEMs), Value-added resellers (VARs), and Authorized Service Providers (ASPs) are also facing tighter service agreements and raising customer expectations. In this challenging environment, growth of service revenue hinges on consistently exceeding the expectations of demanding customers, which is why high-tech players must focus on creating integrated approach across the customer touchpoints so as to enable proactive and seamless customer experience. 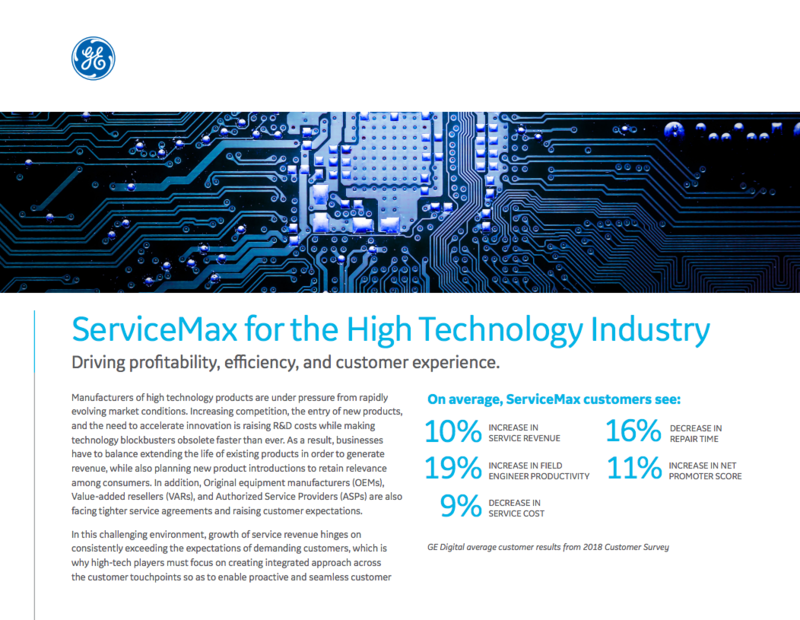 To drive this service transformation, high tech manufacturers need a service platform for deploying processes in a consistent manner, while getting key insights to continuously improve service performance.